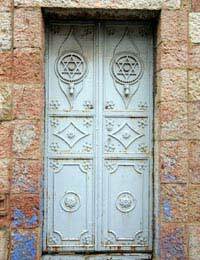 Home > Types of Astrology > What is Kabbalistic Astrology? Kabbalah is an ancient branch of Jewish mysticism. Kabbalistic astrology sometimes referred to as Mazal or Mazalot is one part of four types of Kabbalah knowledge: creation, functioning, ruling and reincarnation. Kabbalistic astrology looks at a person’s relationship with the universe from a spiritual point of view. Kabbalistic astrology is similar to natal astrology except it has a unique template that it adds – the Tree of Life. This astrological map converts the zodiacal degrees of a natal chart into a Tree of Life. In this map, the planets are placed in spheres. Each sphere corresponds with a particular planet, gives a look into a person’s soul, and can show the health of their body as well as their energy systems. Malkhuth is in the bottom position on the Tree of Life and is associated with the keyword kingdom. This sphere represents one’s home life, family, and close relationships. It physically represents one’s physical body and is depicted by the archangel Sandalphon. Malkhuth is ruled by the Ascendant or Rising Sun. It reflects the personality we show to other people. The energy of Malkuth can help a person decide just what lifestyle they would like to achieve. Yesod, located above Malkhuth, is associated with the keyword foundation. This sphere shows a person’s unconsciousness – their secret thoughts, hopes, wishes, fears, and apprehensions. It physically represents one’s ego and is depicted by the archangel Gabriel. Yesod corresponds with the Moon. It relates to how we interact with those around us. The energy of Yesod is used to help a person determine how to react to events that occur in one’s life rather than just reacting on instinct. Hod is to the northwest of Yesod and is associated with the keyword splendor. This sphere deals with worldly matters such as career, business and creative endeavors. It physically represents the theoretical aspects of life and is depicted by the archangel Michael. Hod corresponds with Mercury. It relates to how we think and communicate with others. The energy of Hod can be used to think and act appropriately, analysing our thoughts before acting on them. Netzach, located parallel and to the east of Hod, is associated with the keyword victory. This sphere represents our emotional attachments and feelings in close relationships. It physically represents the practical aspects of life and is depicted by the archangel Haniel. Netzach corresponds with Venus. It relates to things we find attractive and to which we have a closeness. The energy of Netzach can be used to focus on that which gives us pleasure and how to achieve the most positive effect from that. Tiphereth, located above both Hod and Netzach, is associated with the keyword beauty. This sphere represents our higher self – our life purpose, objectives, and ideals. It physically represents the self and is depicted by the archangel Raphael. Tiphereth corresponds with the Sun. The energy of Tiphereth can be used to project the positive aspects of our personality. Gevurah is located above Hod and it is associated with the keyword restraint. This sphere represents the challenges and conflicts that one overcomes in life and the lessons learned by them. It physically represents discipline and is depicted by the archangel Kamael. Gevurah corresponds with Mars. The energy of Gevurah can be used to focus on the areas that bring you the most satisfaction. Chesed is located parallel and to the east of Gevurah. It is associated with the keywords loving kindness. This sphere represents the opportunity for us to grow and the rewards for challenges we overcome. It physically represents compassion and is depicted by the archangel Tzadqiel. Chesed corresponds with Jupiter. The energy of Chesed can be used to show us what avenues of life in which we will best excel. Binah, located above Gevurah, is associated with the keyword understanding. This sphere represents the knowledge within us, such as intuition. It physically represents reason and is depicted by the archangel Tzaphqiel. Binah corresponds with Saturn. The energy of Binah helps us see what life lessons we have brought with us through reincarnation. Chokmah is located parallel and to the east of Binah. It is associated with the keyword wisdom. This sphere represents learned behaviour and where our responsibilities lay. It physically represents revelation and is depicted by the archangel Raziel. Chokmah corresponds with Uranus. The energy of Chokmah helps us look into areas in which we must make a choice. Keter is located in the first position, above all other spheres. It is associated with the word crown. This sphere represents new beginnings and creative potential. It describes our spiritual world and is depicted by the archangel Metatron. It is the last point through which we must pass to gain universal oneness. Keter corresponds with Neptune. The energy of Keter is used to analyse our perceptions. Kabbalistic astrology can help you focus on what is important to you in life and how to achieve that for which you hope and wish. It can help your relationships as you understand both yourself and others better. It helps you have a more philosophical view of life lessons as well as what can be learn from them. create one,greeting in the name of the lord Jesus christ,l hereby write to let you that wan to study kabbala and also l want to study mysticism so l want you to put me in path.